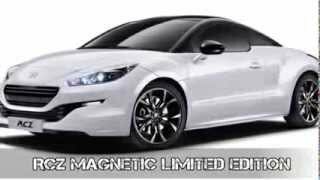 The French car maker Peugeot has announced to offer a limited edition RCZ Magnetic in the United Kingdom. 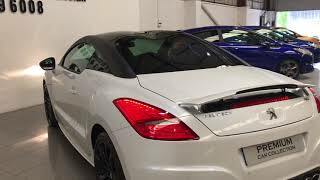 The limited edition car is based on the RCZ Sport, which will be offered in Pearlescent Pearl White or Metallic Nera Black paint color and will be limited to only 170 units with a price tag of £25,350. 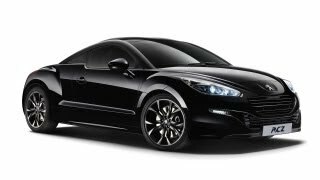 On the exterior the RCZ will have a black front grille, matt black roof arches, door mirror covers, brake calipers and 19 inch Sortilege alloy wheels with an onyx matt black finish. On the interior the model has leather sport seats, a short-throw shifter, Peugeot Connect Navigation (RT6) – Audio, CD and satellite navigation system, Peugeot Connect SOS and Assistance, a leather wrapped steering and a “Magnetic” badge on the doors. 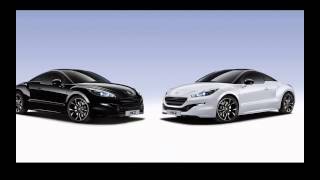 The 2014 Peugeot RCZ Magnetic has a option of two powertrains: The 1.6-liter THP which has a output of 156 hp (116 kW) and 200 hp (149 kW) and the 2.0-liter HDi that has a output of 163 hp (121 kW).